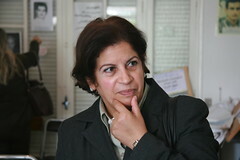 Led by PSI General Secretary Rosa Pavanelli, PSI came to Marrakesh with a 45-member strong trade union delegation. 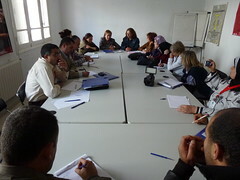 In addition to participating in the Adoption Conference, PSI organised a Strategy workshop and participated in the civil society days of the Global Forum on Migration and Development, the Peoples Global Action and in the Global Unions Forum on Migration. On the eve of the Adoption Conference, PSI also organized a side event to promote a Stakeholders' Dialogue on Health Worker Migration and the Global Skills Partnerships, with the support of EPSU, WHO, FES and the German Federal Government. The Council of Global Unions strongly denounces the ill-conceived decision of a number of UN Member States not to sign the historic agreement on 10 December 2018, the Global Compact for Safe, Orderly and Regular Migration (GCM). ActionAid has released a new report that reveals how tax treaties are reducing the tax that some of the world’s poorest countries can collect from multinational companies. How can governments advance the effective recognition of this fundamental right? 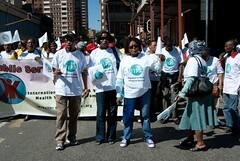 Which policies and institutions promote collective bargaining and how might they be established? Joint statement by the American Federation of State, County and Municipal Employees (AFSCME) and Public services International (PSI) for the meeting discussing the global push for privatization, linking unions' national campaigns to regional and global dynamics taking place in Washington, D.C. on 2-3 December. Corporations do not always want to pay tax on their profits where they are making their profits. They often engage in a strategy called profit shifting whereby, through artificial subsidiary companies they shift their profits into low or no tax countries and thereby avoid paying taxes where profits are made. Research by the Tax Justice Network reveals the real figures behind missing tax. 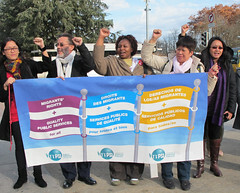 Joint statement submitted by the International Trade Union Confederation (ITUC), Education International (EI), Public Services International (PSI) and International Transport Federation (ITF), civil society organisations with consultative status at the Economic and Social Council to the upcoming UN Commission on the Status of Women (UNCSW60). In January 2013, the Korean government dismissed 137 workers for being activist members of the Korean Government Employees' Union. 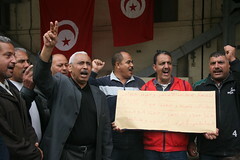 Among those dismissed were the KGEU General Secretary and President. 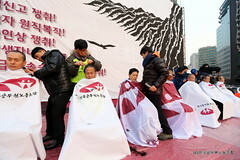 Kim Jungnam, President of the Korean Government Employees’ Union, launched a hunger strike on 15 January in the streets of Seoul outside the offices of the Presidential transition committee and has vowed to continue his hunger strike until the issues facing his union are resolved. This is a 4 minute summary of the 17 minute video SHARP SENSE produced by the global union federation Public Services International. Healthcare workers face the risk every day of exposure to bloodborne pathogens because of needlestick injuries. In this short video, a nurse, an HIV/AIDS counsellor and an HIV/AIDS physician share their personal experiences with needlestick injuries.